Category Management is both the art and the science of getting your products in the hands of new and loyal shoppers. It includes optimized distribution, effective merchandising, efficient trade marketing, maximizing consumer/shopper engagement, and actionable insights. Category Management is the great equalizer between young brands and their most sophisticated competitors. 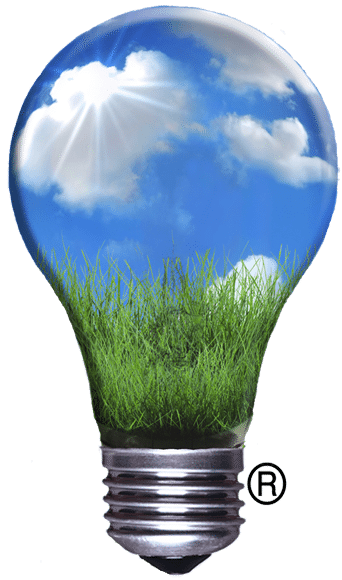 I help level the playing field giving you a significant sustainable competitive advantage. Category Management Solutions provides innovative ideas, actionable insights and strategic solutions to help your business gain a competitive advantage. Combining the industry’s best practices and tools, Category Management Solutions implements a customized process that meets the demands and needs of your CPG or organic brand. Our unique approach and expertise is designed for the small to medium size brands wanting to grow their business, build shopper base and expand brand shelf space. It includes strategies of the top national brands without all the added expense, saving you valuable time and money. Our mission is to level the playing field between natural and conventional (mainstream) by helping natural organic companies make the most of their available resources, win at shelf and connect with consumers. Our goal is to leverage the relationships between brands and retailers, creating a collaborative approach to better meet the needs of the shopper. Consideration of all three needs, the brand, the retailer and the shopper, is the foundation for a sustainable strategy that competes in the marketplace regardless of size or volume. I use the term “True Category Management” to differentiate between the common perception of most as opposed to the measurable results Category Management can offer. The reality is that true Category Management, when done properly, can determine your level of success in the marketplace and so much more. Category Management provides strategies to better connect with consumers, develop brands, manage trade spending, optimize product placement, and grow sales. Category Management is the science and art of combining business intelligence, logistics data, syndicated and POS data, consumer data, etc. to maximize business results. Category Management should touch every aspect of your business from research and development all the way through to the end consumer. It is the essential process that most companies either overlook or say they can’t afford to invest in. This is particularly true in the natural organic channel. Analytics: Analytics, both advanced and basic, are at the heart of category management. Analytics encompass all aspects of trade management, business planning, assortment analysis, consumer awareness, etc. Analytics go well beyond producing pretty charts and graphs. Analytics, when applied correctly, provide invaluable business insights and actionable recommendations. Analytics are the road map to achieving your goals. Trade Marketing Support: Trade marketing encompasses all aspects of promotion, pricing, product placement, assortment, merchandising, and brand development. Trade marketing includes analysis of historical events and it also includes projections for future sales trends. Consumer Insights: Consumer insights encompass all consumer and shopper-related information including consumer buying and shopping habits, etc. Consumer insights provide an invaluable look into customer needs and wants, allowing manufacturers and retailers to focus on strategies. From reducing long checkout lines to providing the best selection of merchandise at the best possible price, the ultimate goal is to improve customer satisfaction. Consumer insights lets you identify and then focus on the needs and wants of the people who want to purchase your products. Your ability to meet their needs will determine your success. Database Management: Database management, also known as business intelligence, encompasses several different data sources including internal and external data sources, syndicated data, retailer point of sales data, consumer data, marketing data, etc. Talented category managers can help you manage all of the different data sources bringing them together in a useful way. This maximizes efficiencies within the organization while building a strong sales story to help you win at shelf. Shelf Management: Shelf management encompasses product placement and merchandising on retailer shelves. Shelf management helps the retailer maximize sales per linear foot, drive foot traffic to their stores, increase customer shopping basket size, and have a competitive advantage in the marketplace they serve. Category Reviews: Category reviews serve as a review of category performance. They provide the framework for retailers and manufacturers to work together in setting goals, expectations, and strategic plans for future category growth. Scorecards can be used to help obtain and measure category growth objectives. Retail Sales Support: Category managers can and should support sales at retail. Category management should offer an unbiased objective with the purpose of increasing retailer’s sales. Category managers provide fact-based selling to help support the traditional sales efforts. 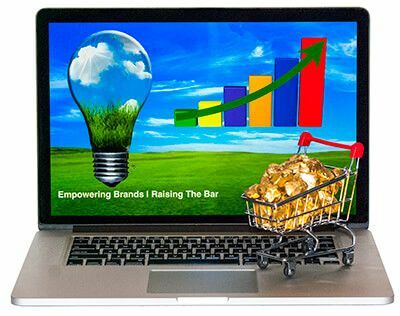 A savvy brand realizes that their ability to help the retailers sell their products while growing the retailer’s category is a true win-win. Most retailers will work hard to support manufacturers willing to help them compete more effectively. Category management truly is the glue that unites the different business functions. It helps retailers identify opportunities for sustainable growth, increased sales, and increased foot traffic. When done correctly, it grows brands. Category Management is both the art and the science of getting your products in the hands of new and loyal shoppers. It includes optimized distribution, effective merchandising, efficient trade marketing, optimized strategic business and demand planning, maximizing consumer/shopper engagement, and deep dive actionable insights. Category Management is the great equalizer between young brands and their most sophisticated competitors. Category Management is the advanced business strategy that leading Consumer Package Goods (CPG) brands and retailers rely on giving them a sustainable competitive advantage at shelf. Leading retailers are committing to only partner with certified professional Category Managers. The term Category Management is used in a variety of ways many of which “water down” it’s true potential and capabilities. It can include those who rely heavily on templated reports, manage retail categories, etc. I coined the term “True Category Management” to differentiate the strategies below (the strategies the most sophisticated brands use). Simply put, if you want to play at their level, you need to be at their level. This can be accomplished BUT, it requires a skill set that goes well beyond what I call “push-button” category management. True category management is the great equalizer in the CPG (consumer package goods industry). It allows the smaller companies to compete head-to-head with the most sophisticated companies in any category, in any channel, and in any economy. True category management involves everything from the product inception all the way through the process to the end consumer beyond the shelf – after they make the purchase. It can help you with traditional and advanced deep dive sales analysis, trade management, sales planning, forecasting, merchandising, schematics, consumer and shopper insights, etc. It is the backbone of advanced strategy. Category Management is typically an eight-step process. The best solution for your business is the one that encompasses all of the strategies needed to make your brand successful. The process you choose will significantly help you achieve the goals you set for your brand. It will be your roadmap to success. Your process will establish your brand as a true leader in the category and differentiate you from your competition. A good first step is to understand (become an expert) of your retailer: their needs, goals and objective for the category, their profit and margin expectations, etc. Aligning your process with their Category Management process will help you stand out in their eyes and establish you as a true partner and potentially, the category captain. 1 Define Category: This step is perhaps the most important step, as it will define your understanding of the retailer, their customers, and the customers who buy your brand. The key question is how customers shop the category. The consumer decision tree will help you define the category. The consumer decision tree identifies the choices and the order of decisions customers make when they shop the category. Do they choose brand, sub-brand, quality, flavor/scent, packing, etc? Do they choose complimentary products during the same trip? For example, a customer shopping for your 24oz bottle of vanilla scented shampoo might also purchase your 24oz bottle of vanilla scented conditioner. 2 Category Role: Role identifies the importance of the category to the retailer. This is the role the retailer wants the category to play within their store. A category can be used to bring consumers into the store, increase foot traffic, support routine shopping needs, be a destination for seasonal/occasional purchases, a one-stop-shop, or for convenience. Retailers may assign different roles to categories within their stores depending on the customers they want to attract. 3 Category Appraisal: Knowing how the category performs at the retailer, within the market, and across different outlets is the next step. 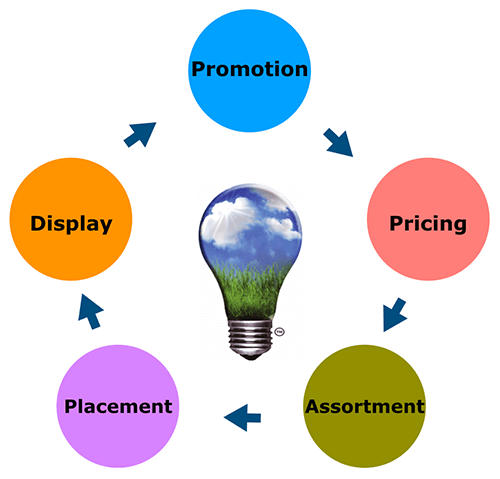 This should include a pricing, promotion, placement, and product assortment assessment. How does the category performance compare to the competition? Being able to measure your efforts/success is critical to knowing what strategies work and which don’t work. 4 Category Scorecard: Scorecard is the strategic allocation of work to be performed to reach the category goals and objectives. It is a summary of observations and analysis to help develop goals and targets for the category. It should include an assessment of consumer buying habits. 5 Category Strategies: Strategies are used to fine-tune the category role to meet scorecard objectives. Category strategies are designed to grow market share, increase sales, increase foot traffic, improve gross margin, increase return-on-investment, increase shopping basket size, and gain customer satisfaction. We will cover this more in depth later. 6 Category Tactics: Tactics include specific actions to be taken to achieve chosen category strategies. Promoting top brands on a front end-cap three times a quarter at a hot price point with a feature is just one example. 7 Plan Implementation: This is the action step that brings your strategies and tactics to life. This is where the proverbial rubber meets the road. The degree to which you accurately implement the plan will dictate its success. 8 Review and Assess Performance: This is where you analyze, measure, and review the results. This should be on-going and used to help you refocus and make changes if necessary.